On 25 Safar 1436 (17 December 2014), sons of al-Dai al-Fatemi His Holiness Syedna Khuzaima Qutbuddin TUS, Shehzada Dr. Abdeali Bhaisaheb and Shehzada Dr. Husain Bhaisaheb visited Vadodar for ziyarat of al-Mawla al-Fadil Syedi Musanji bin Taj Saheb QS and to meet with mumineen mukhliseen of Baroda. Abdeali bhaisaheb and Husain bhaisaheb, and the mumineen zaireen with them did ziyarat with much tamakkun, alhamdolillah. And mumineen of Baroda who met with the Bhaisahebs also expressed their conviction, belief and love for Syedna Khuzaima Qutbuddin TUS and also offered their khidmat for the cause of Da’wat. 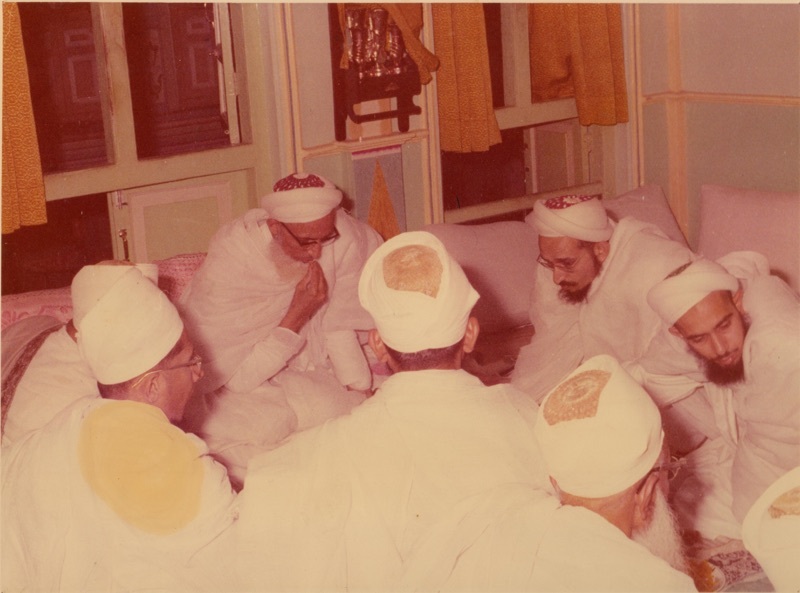 In the course of this visit, the Bhaisahebs and mumineen with them were delighted to be warmly welcomed by High Dignitaries of the Alavi Bohra Community to their central headquarters at Tayyebi Mahal, Baroda. 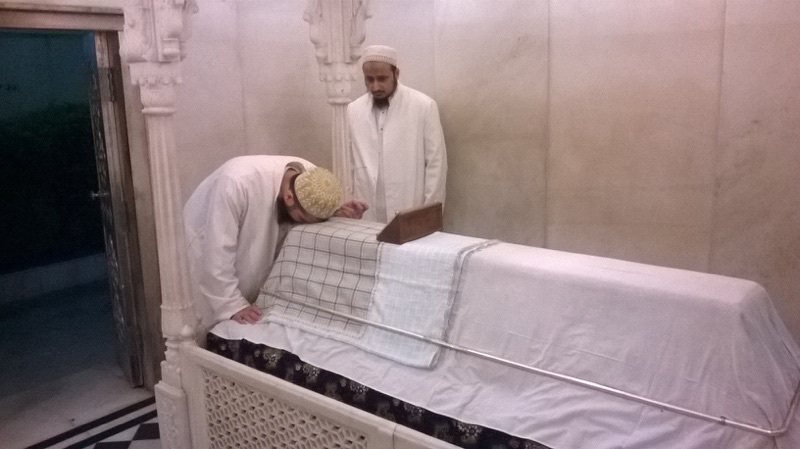 The Alavi Mazoon al-Sayyed al-anbal Bhaisaheb Haatim Zakiyuddin, Alavi Mukasir Bhaisaheb Mohammad Nooruddin and Alavi Rasul-Hudood Bhaisaheb Zulqarnain Hakeemuddin extended their ikraam and gracious hospitality. The Dignitaries fondly recounted the visits of His Holiness Syedna Taher Saifuddin Saheb RA earlier and later His Holiness Syedna Mohammed Burhanuddin Saheb RA accompanied by His Holiness Syedna Khuzaima Qutbuddin Saheb TUS who was Mazoon ud-Dawat at the time, and shared photographs of those memorable occasions. There were lively conversations on the longstanding and close relationship between the two communities which has been based on mutual understanding and trust. The Bhaisahebs were given a tour of the historic building where the Alavi Dais have resided for nearly two centuries, and shown the community’s historic collections of photographs and memorabilia. 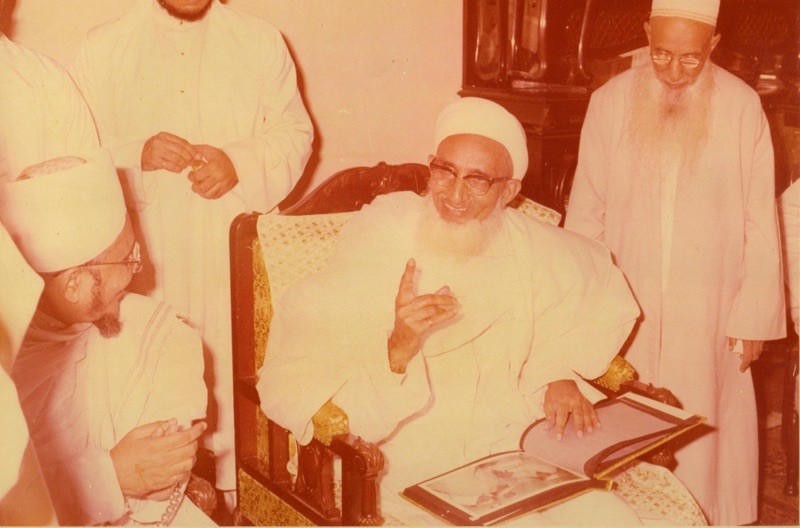 Syedna Khuzaima Qutbuddin TUS’s Shehzadas thanked the Dignitaries for this meeting and hospitality imbued with mohabbat and sincerity and extended their invitation to the Dignitaries to visit Darus Sakina in Mumbai in the near future. They prayed that these warm relations continue to flourish.